APCG is located on the 6th floor of the Buys Ballot Building and is part of IMAU. From Schiphol Airport a direct train connection to Utrecht Centraal exists. Utrecht Centraal is the third stop. The entire trip lasts about 32 minutes and costs 8.70 Euros (second class) or 14.70 Euros (first class). You can take a number 12 or number 28 bus. Number 12 runs very frequently, but you will have to walk a little further once in De Uithof. Number 28 takes you through the historic city center of Utrecht. In any case, allow for a journey of approximately 25 minutes in all. With a number 28 bus, get off at bus stop Botanische Tuinen. Head North East. 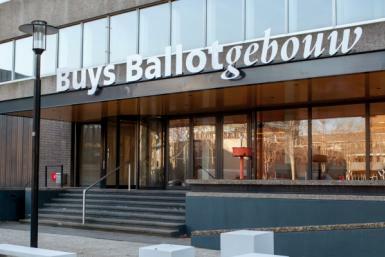 You can enter the Buys Ballot Gebouw through the Victor J. Koningsberger building (follow the signs).